Update: The appeal before Middlebrook will be held Tuesday May 7, 2013 - Suspended members of teams will be able to continue work until appeal heard. The wait is over, at least for the time being. After a day of pleading their case the appeals panel has upheld the penalties assessed to Penske Racing following the April 13, 2013 Sprint Cup Series race at Texas Motor Speedway. The panel voted unanimously to uphold the fines and suspensions. This isn't the end of the appeals process. Penske Racing owner Roger Penske said they will try their case again in front of Chief Appellate Officer John Middlebrook, though no date has been set at this time. 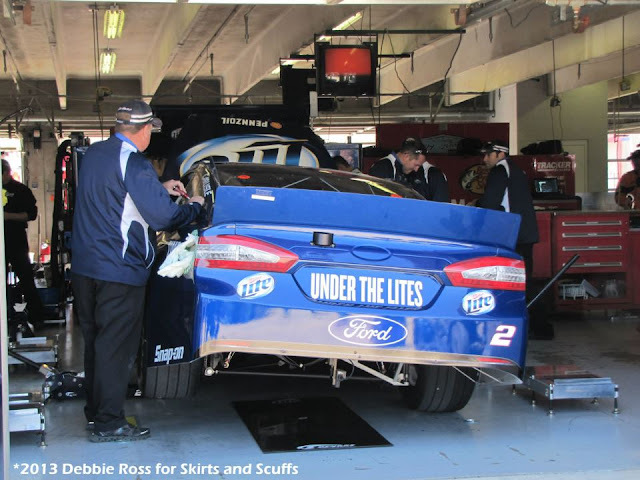 As it stands Penske's suspended team members may be allowed to continue working on cars until the appeal process has been completed, although this will have to be approved by Middlebrook. · Car chief Jerry Kelley, team engineer Brian Wilson and team manager Travis Geisler (serves as team manager for both the No. 2 and No. 22 cars) have been suspended from NASCAR until the completion of the next six NASCAR Sprint Cup Series championship points events (including the non-points Sprint All-Star Race) and placed on probation until Dec. 31. · The loss of 25 championship driver (Joey Logano) and 25 championship owner (Walt Czarnecki) points. It still seems small compared to the #20 fines.